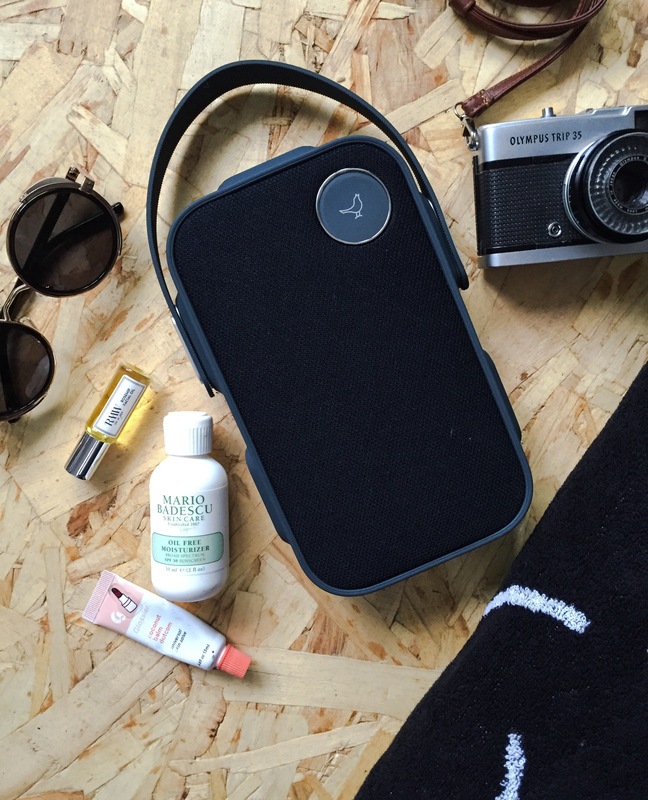 finally a stylish and awesome speaker that fits in everywhere even if you are on the move! i’ve been so lucky to test this cool speaker before it launches (today). since i have the harbor right outside my front door i like to go there to relax and go for a swim with my boys and good friends. we would often put on some tunes and just let the music play in the background. 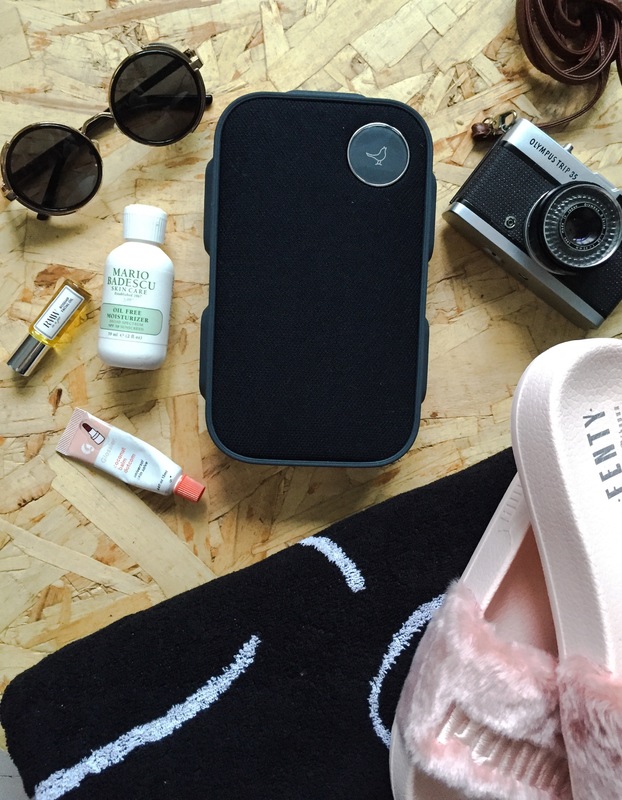 so if you ask me this is how my ‘on the move’ essential kit would look like – camera, flip flops, bath towel, lip balm, spf moisturizer, facial oil roll on, shades and of course my speaker! life without music is just too boring!